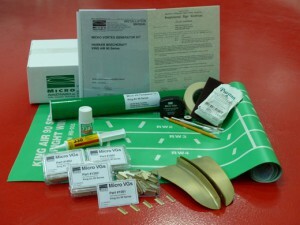 A Micro VG Kit includes the STC, VGs, installation tools, detailed drawings and instructions, and all materials needed for your shop to make the easy one day installation. The Micro VGs are shipped Alodined ready for paint. We can paint your Micro VGs as an option for $250 per Color, or your shop can paint them. (See -- Painting Tips ).